After passing through the plate glass doors, I was stepped onto glossy white tiles interspersed with a grid of isolated black ones. 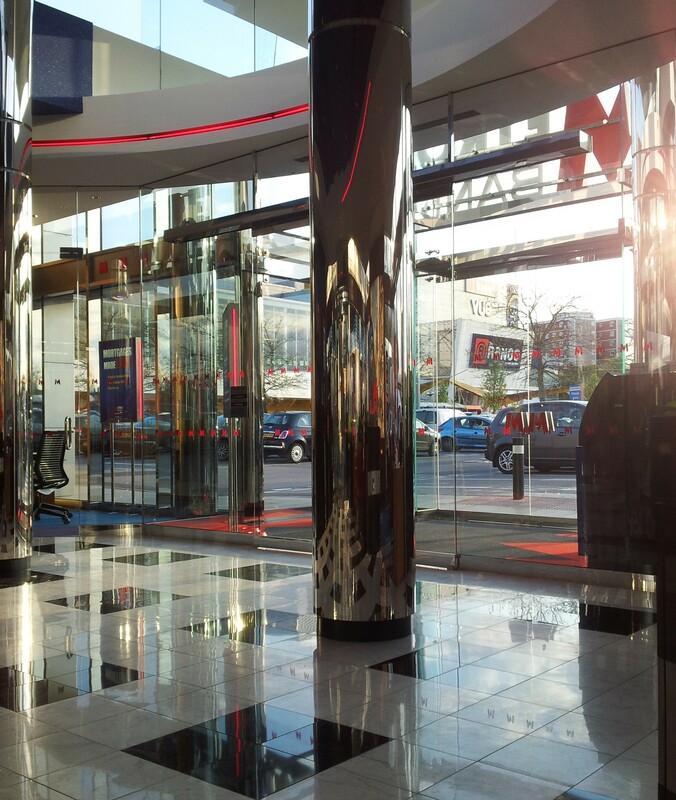 Around me were polished steel and red neon tubing. On flat-screen behind the counter, a smiling stock photo of a call-centre worker was captioned with ‘Real Answers from Real People! [my emphases]’ As I sat down to wait to open an account, I noticed the anodyne piped pop music playing in the background. Nothing like the demure and bland English high-street banks I’m used to, this building bellowed ‘I’m American!’, in loud red, white and blue graphics. I gazed around in amused fascination, wondering how this aesthetic could belong to a bank that hadn’t yet fallen to corporate sleaze – one that wasn’t yet too big to fail. The sceptic in me suspects that the bank’s favourable ratings with Ethical Consumer and Move Your Money are simply because they have a clean rap sheet. They haven’t had time to invest in the arms trade, evade taxes and mistreat their customers, let alone be bailed out by the state and continue to do so. I put in my earphones to block out the Muzak. ‘All my senses rebel!’ Brendan Parry’s voice solemnly proclaims. I’ve walled myself off to the extend that the man just who sat down next to me is seen first. I shrug. 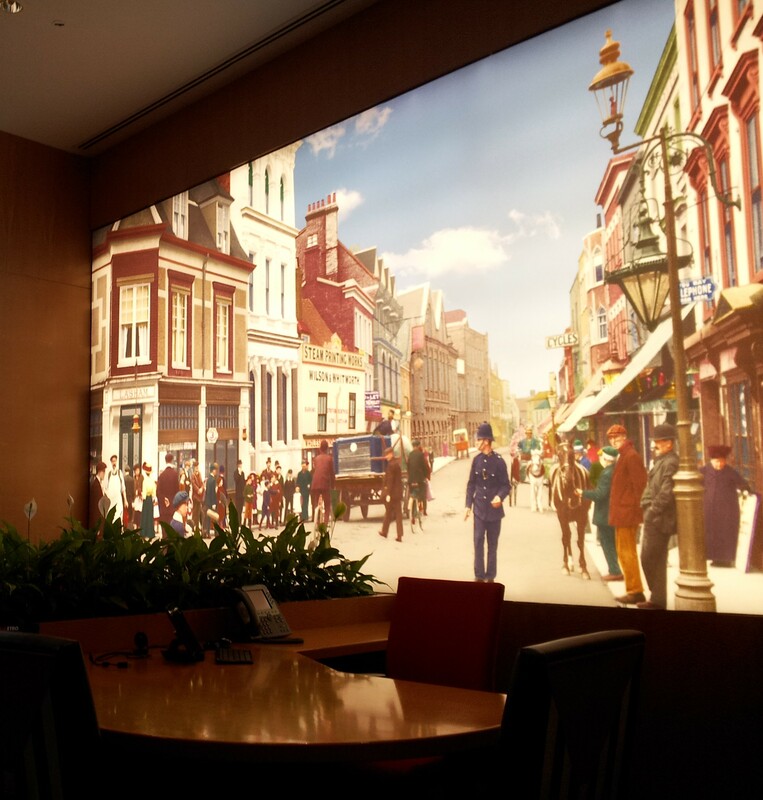 A retouched photograph of what the site of the bank 100 years ago was printed onto a large backlit canvas. The colours are vivid and artificial, in a sense aiming to be more real than those of the original scene. ‘Dogs rule’ read another poster. 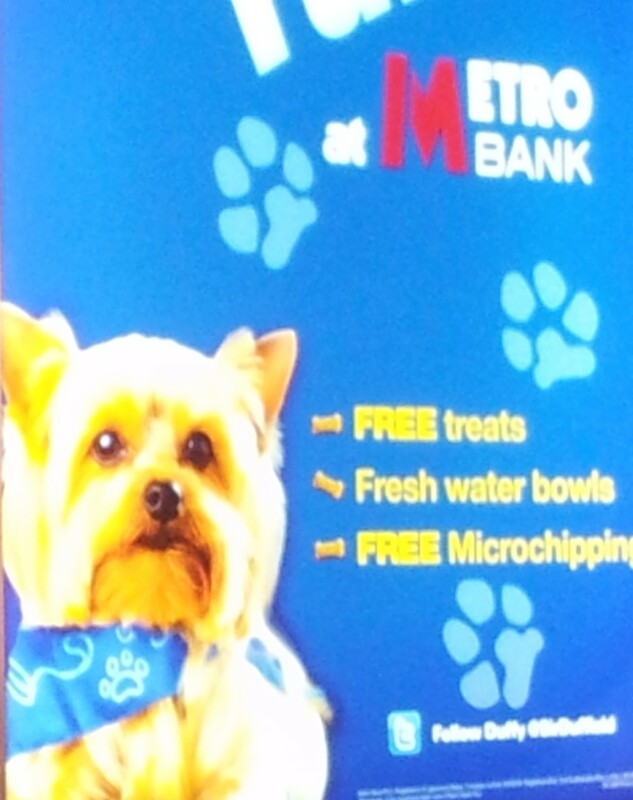 Pictured in this one is Metro Bank founder Vernon Hill’s dog Sir Duffield. This no-doubt expensive canine-friendly branding exercise seems to be Hill’s personal whim. All of the branding makes more sense when you view it as a manifestation of the aesthetic sensibilities of a man who cut his teeth developing properties for McDonald’s. He already has the successful American Commerce bank behind him and he hasn’t altered his fast-food retail strategy of long hours and smiling mascots a great deal for the UK. 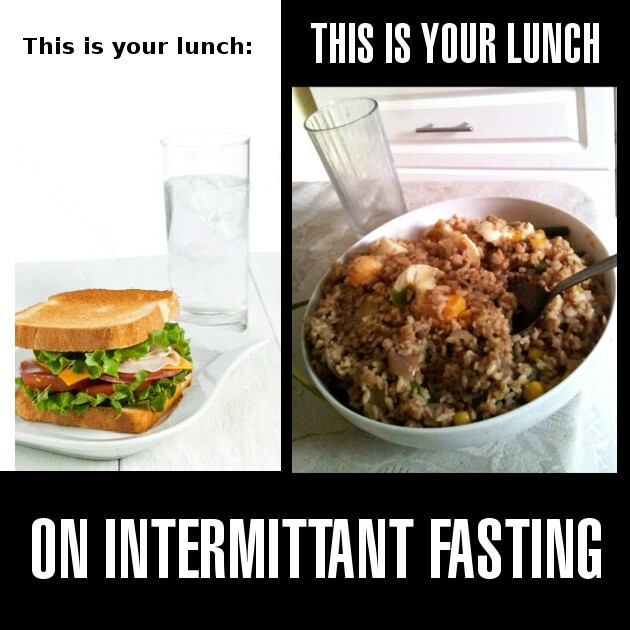 I hope the fast-food analogy doesn’t run too deep. A degree in the arts or humanities is a poor financial investment, especially for males, according to recent research by Professor Ian Walker of Lancaster’s Department of Economics and Dr Yu Zhu of the University of Kent. 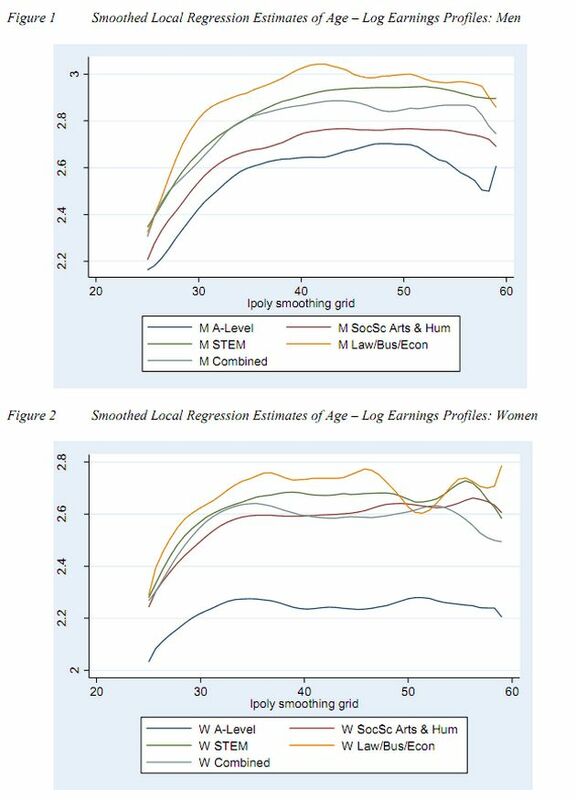 The most striking feature of these graphs is that they indicate that in the case of females, completing a degree in any of the four subject areas tends to be highly advantageous in terms of earnings — while merely attaining A-levels without continuing to higher education is a poor move indeed. In the sample from which this data is derived, this appears to be the case; whether a larger sample would offer significantly different results, I can only guess. Nor can I be sure of the cause of this phenomenon. What is fairly clear is that mean earnings for women appear to be lower than those for men. If I look only within the estimates for the male gender, it is clear the a degree in the arts and humanities isn’t that much better a choice than going straight into the job market with A levels. According to estimates from the working paper(Walker I and Zhu Y, 2010) a male with a poor arts and humanities degree, when tuition fees are taken into account, stands to lose on his investment. 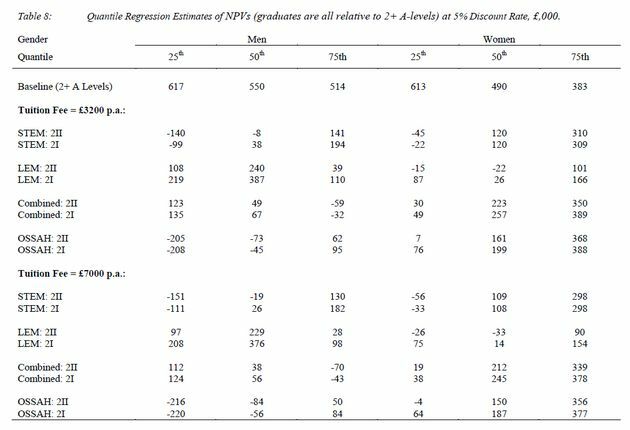 The table below indicates that a second class degree in the arts and humanities could be far more deleterious to the long term earning prospects of men, than to those of women. This tendency is only slightly more marked when one takes the £7000 annual tuition fee into account, meaning that an arts and humanities degree is not going to be that much more economically worthless when the higher fees come into effect. What frustrates me about the data used in this research is the four broad categorises used. I suspect that someone with a psychology, philosophy or history degree would be better off than a fine art student like me. However, they are all lumped together so one cannot tell. Research like this does make me feel a bit anxious — what if I want to support a family?— but it’s worth pointing out that I didn’t choose this career path for monetary reasons. I am quite aware that acquiring further qualifications and then teaching or lecturing are my best options for work. Of course, there is the slim chance that I could support myself on my own practice, but that’s not worth considering as a realistic outcome. My main reasons for studying fine art are quite existential, or maybe just selfish and concerned with my own being above all else: I want to be able to fulfil myself creatively, on my own terms and without relying on external agencies. I am afraid of becoming trapped in something that I don’t find fulfilling because of external pressure, If I were a scientist relying on corporate funding for example. I wanted to keep my options open, art can be almost anything, and I know that at my age, I have no idea of what I really want to do. I have had trouble building or finding meaning in my life and I feel art is the best means to pursue it. As I see it, if I can’t make or find meaning in art, as free cultural production, I have little hope of finding meaning elsewhere. Winter’s sky – like a soiled dishcloth, hangs slackly over the white-speckled greys and browns of Hainault. I sit at my computer, reading Kafka’s The Castle, which given my resent involvement in bureaucratic quagmires and quandaries, is more than appropriate. I am kept company by the hum of my computer and the regular passing of cars outside my window, occasionally reaching for chocolates. I wish I could read German, but maybe Kafka’s prose is equally or more barren in its original language. OK – That’s not fair, it’s good writing but it offers little sustenance compared to Martin Amis’ Money, which I finished yesterday. Money, I could get my teeth into – so meaty that I chose to conveniently forget about my supposed vegetarianism. I should be doing something more productive, but instead, I’m writing an abortive account of my thoughts. I can only imagine that the usual Christmas indulgence and the cold weather’s effect on my immune system have led to these irritating mouth ulcers. I’m a little sickly but really can’t complain. I have a roof over my head and a full stomach (full of festive crap). While I would like to have a passport, then I could get a job and finish my degree – I am content with the slow days for the time being, blessed as I am with a sedentary nature. Maybe I’m better off on this long and bookish holiday – I could be out there, struggling – chasing shadows and battling illusions. I am a little apprehensive. I mean, there’s the ever-present undercurrent of premature death and decay, ruin, disappointment and the scuppering of one’s hopes. But there’s also a lingering question: In the wheel of my life with its vicissitudes, its ups and downs… Am I on the ascendancy or teetering on the brink of a fall? Everything is so pleasantly so so, so idle and relaxing – What’s going to happen when I’m forced to pick myself up and join life’s dynamism again. Perhaps I’ll be rejected as a part with no function – maybe I’ll adapt to the size and shape of an expedient cog. I’m not arrogant enough to presume that I can change the machinery of life – not yet. That’s what education is for, and education requires money, money requires work and work a compromise. I suspect I have a few compromises left in me, I’m young and malleable after all, young at least. Youth, they say, is wasted on the young – I generally spend my days reading and/or sitting at a computer. My time at university should comprise more of the same, as with the rest of my future life. While I’m young, Should I endeavour to be a moving part, join the thuggery and bitchiness of my social surround? Take up a sport? I don’t think so, I’m not made for Hainault, not as an active resident. More of a passive dweller, taking advantage of the less impure air, the tube station, the anonymity. I’m under less stress than I was in central London, there’s a forest and there’s countryside – it can be quite pleasant. What sits in this swivel-chair? What sits, amidst the tangle of electric cords, the books and papers, a discarded teacup? can this debris be said to be mine, I its, or is it more of a mutual arrangement? Drowsy-gummy eyes, brought on by flue medicine. and the dissonance between the look and feel of them. pixels in need of pushing. It seems counter-intuitive to say that my body drags me. When I seem to drag it, not so much for the walking, or the doing, but for the now very abstract goals. But however one looks at it, it will continue. and the ramshackle edifice will continue to grow in its wake.